In-depth Report: IRAN: THE NEXT WAR?, IRAQ REPORT, PALESTINE, SYRIA: NATO'S NEXT WAR? The following document pertaining to the formation of “Greater Israel” constitutes the cornerstone of powerful Zionist factions within the current Netanyahu government, the Likud party, as well as within the Israeli military and intelligence establishment. 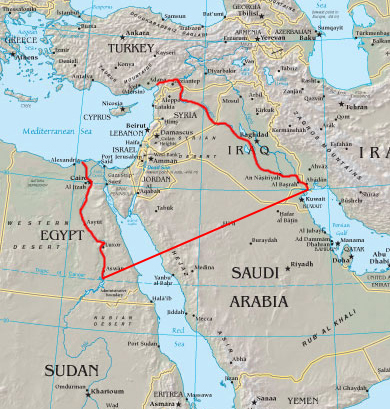 Viewed in this context, the war on Syria is part of the process of Israeli territorial expansion. Israeli intelligence working hand in glove with the US, Turkey and NATO is directly supportive of the Al Qaeda terrorist mercenaries inside Syria. The Zionist Project also requires the destabilization of Egypt, the creation of factional divisions within Egypt as instrumented by the “Arab Spring” leading to the formation of a sectarian based State dominated by the Muslim Brotherhood. Jordan constitutes an immediate strategic target in the short run but not in the long run, for it does not constitute a real threat in the long run after its dissolution, the termination of the lengthy rule of King Hussein and the transfer of power to the Palestinians in the short run. Our existence in this country itself is certain, and there is no force that could remove us from here either forcefully or by treachery (Sadat’s method). Despite the difficulties of the mistaken “peace” policy and the problem of the Israeli Arabs and those of the territories, we can effectively deal with these problems in the foreseeable future. The reason for publication is the dual nature of the Israeli-Jewish society: A very great measure of freedom and democracy, specially for Jews, combined with expansionism and racist discrimination. In such a situation the Israeli-Jewish elite (for the masses follow the TV and Begin’s speeches) has to be persuaded. The first steps in the process of persuasion are oral, as indicated above, but a time comes in which it becomes inconvenient. Written material must be produced for the benefit of the more stupid “persuaders” and “explainers” (for example medium-rank officers, who are, usually, remarkably stupid). They then “learn it,” more or less, and preach to others. It should be remarked that Israel, and even the Yishuv from the Twenties, has always functioned in this way. I myself well remember how (before I was “in opposition”) the necessity of war with was explained to me and others a year before the 1956 war, and the necessity of conquering “the rest of Western Palestine when we will have the opportunity” was explained in the years 1965-67. 3. A picture of Soviet intentions in various areas of the world can be drawn from the book by Douglas and Hoeber, ibid. For additional material see: Michael Morgan, “USSR’s Minerals as Strategic Weapon in the Future,” Defense and Foreign Affairs, Washington, D.C., Dec. 1979. 4. Admiral of the Fleet Sergei Gorshkov, Sea Power and the State, London, 1979. Morgan, loc. cit. General George S. Brown (USAF) C-JCS, Statement to the Congress on the Defense Posture of the United States For Fiscal Year 1979, p. 103; National Security Council, Review of Non-Fuel Mineral Policy, (Washington, D.C. 1979,); Drew Middleton, The New York Times, (9/15/79); Time, 9/21/80. The former Minister of Treasury, Mr. Yigal Holwitz, stated that if it were not for the withdrawal from the oil fields, Israel would have a positive balance of payments (9/17/80). That same person said two years earlier that the government of Israel (from which he withdrew) had placed a noose around his neck. He was referring to the Camp David agreements (Ha’aretz, 11/3/78). In the course of the whole peace negotiations neither an expert nor an economics advisor was consulted, and the Prime Minister himself, who lacks knowledge and expertise in economics, in a mistaken initiative, asked the U.S. to give us a loan rather than a grant, due to his wish to maintain our respect and the respect of the U.S. towards us. See Ha’aretz1/5/79. Jerusalem Post, 9/7/79. Prof Asaf Razin, formerly a senior consultant in the Treasury, strongly criticized the conduct of the negotiations; Ha’aretz, 5/5/79. Ma’ariv, 9/7/79. As to matters concerning the oil fields and Israel’s energy crisis, see the interview with Mr. Eitan Eisenberg, a government advisor on these matters, Ma’arive Weekly, 12/12/78. The Energy Minister, who personally signed the Camp David agreements and the evacuation of Sdeh Alma, has since emphasized the seriousness of our condition from the point of view of oil supplies more than once…see Yediot Ahronot, 7/20/79. Energy Minister Modai even admitted that the government did not consult him at all on the subject of oil during the Camp David and Blair House negotiations. Ha’aretz, 8/22/79. 11. Most of the economic estimates threw doubt on Egypt’s ability to reconstruct its economy by 1982. See Economic Intelligence Unit, 1978 Supplement, “The Arab Republic of Egypt”; E. Kanovsky, “Recent Economic Developments in the Middle East,” Occasional Papers, The Shiloah Institution, June 1977; Kanovsky, “The Egyptian Economy Since the Mid-Sixties, The Micro Sectors,” Occasional Papers, June 1978; Robert McNamara, President of World Bank, as reported in Times, London, 1/24/78. 13. As for religious ferment in Egypt and the relations between Copts and Moslems see the series of articles published in the Kuwaiti paper, El Qabas, 9/15/80. The English author Irene Beeson reports on the rift between Moslems and Copts, see: Irene Beeson, Guardian, London, 6/24/80, and Desmond Stewart, Middle East Internmational, London 6/6/80. For other reports see Pamela Ann Smith, Guardian, London, 12/24/79; The Christian Science Monitor 12/27/79 as well as Al Dustour, London, 10/15/79; El Kefah El Arabi, 10/15/79. Conflict Studies, ISS, July 1975; Andreas Kolschitter, Der Zeit, (Ha’aretz, 9/21/79) Economist Foreign Report, 10/10/79, Afro-Asian Affairs, London, July 1979. 16. Arnold Hottinger, “The Rich Arab States in Trouble,” The New York Review of Books, 5/15/80; Arab Press Service, Beirut, 6/25-7/2/80; U.S. News and World Report, 11/5/79 as well as El Ahram, 11/9/79; El Nahar El Arabi Wal Duwali, Paris 9/7/79; El Hawadeth, 11/9/79; David Hakham, Monthly Review, IDF, Jan.-Feb. 79. 17. As for Jordan’s policies and problems see El Nahar El Arabi Wal Duwali, 4/30/79, 7/2/79; Prof. Elie Kedouri, Ma’ariv 6/8/79; Prof. Tanter, Davar 7/12/79; A. Safdi, Jerusalem Post, 5/31/79; El Watan El Arabi 11/28/79; El Qabas, 11/19/79. As for PLO positions see: The resolutions of the Fatah Fourth Congress, Damascus, August 1980. The Shefa’amr program of the Israeli Arabs was published in Ha’aretz, 9/24/80, and by Arab Press Report 6/18/80. For facts and figures on immigration of Arabs to Jordan, see Amos Ben Vered, Ha’aretz, 2/16/77; Yossef Zuriel, Ma’ariv 1/12/80. As to the PLO’s position towards Israel see Shlomo Gazit, Monthly Review; July 1980; Hani El Hasan in an interview, Al Rai Al’Am, Kuwait 4/15/80; Avi Plaskov, “The Palestinian Problem,” Survival, ISS, London Jan. Feb. 78; David Gutrnann, “The Palestinian Myth,” Commentary, Oct. 75; Bernard Lewis, “The Palestinians and the PLO,” Commentary Jan. 75; Monday Morning, Beirut, 8/18-21/80; Journal of Palestine Studies, Winter 1980. 18. Prof. Yuval Neeman, “Samaria–The Basis for Israel’s Security,” Ma’arakhot 272-273, May/June 1980; Ya’akov Hasdai, “Peace, the Way and the Right to Know,” Dvar Hashavua, 2/23/80. Aharon Yariv, “Strategic Depth–An Israeli Perspective,” Ma’arakhot 270-271, October 1979; Yitzhak Rabin, “Israel’s Defense Problems in the Eighties,” Ma’arakhot October 1979. 20. Henry Kissinger, “The Lessons of the Past,” The Washington Review Vol 1, Jan. 1978; Arthur Ross, “OPEC’s Challenge to the West,” The Washington Quarterly, Winter, 1980; Walter Levy, “Oil and the Decline of the West,” Foreign Affairs, Summer 1980; Special Report–”Our Armed Forees-Ready or Not?” U.S. News and World Report 10/10/77; Stanley Hoffman, “Reflections on the Present Danger,” The New York Review of Books 3/6/80; Time 4/3/80; Leopold Lavedez “The illusions of SALT” Commentary Sept. 79; Norman Podhoretz, “The Present Danger,” Commentary March 1980; Robert Tucker, “Oil and American Power Six Years Later,” Commentary Sept. 1979; Norman Podhoretz, “The Abandonment of Israel,” Commentary July 1976; Elie Kedourie, “Misreading the Middle East,” Commentary July 1979. The unfolding new phase of direct foreign military intervention in Syria by Turkey, supported de facto by Israel’s right-wing Netanyahu regime. 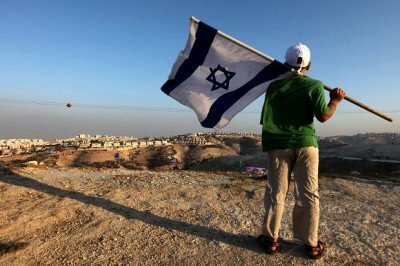 Israel’s attacks have opened the door “to all possibilities” in the Middle East: Regional War in the Horizon? Toxics Across America: 120 Hazardous, Unregulated Chemicals in the U.S.
9/11 Truth in 2014: Is a Breakthrough Possible? Towards a World War III Scenario by Michel Chossudovsky Buy Now! America's "War on Terrorism" by Michel Chossudovsky Buy Now! Globalization of Poverty and the New World Order by Michel Chossudovsky Buy Now! Seeds of Destruction: Hidden Agenda of Genetic Manipulation by F. William Engdahl Buy Now! The Global Economic Crisis by M. Chossudovsky and A. G. Marshall Buy Now!